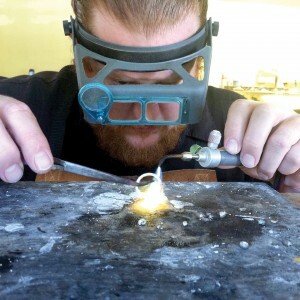 Dan Balk handles the entire jewelry-making process for all of his pieces. 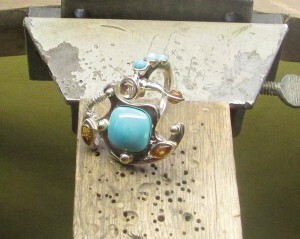 A look at one of the rings Balk recently completed. For more information, call (813) 728-4325, or email moc.l1555953920iamg@1555953920yrlew1555953920ejkla1555953920bnad1555953920.